Have you ever turn on your iPad, but the screen remains blank? You panic and try to restart the device. Sometimes, this will do the trick; but if you are unlucky, you might need to look at fixing an operating system (OS) issue. 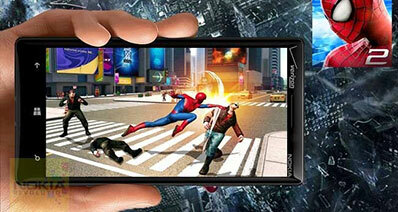 One method that you can use to fix the issue is by entering into the Device Firmware Update (DFU) mode. It is a process where an iPad user is able to reinstall the iOS on the iPad. It is different than the Recovery Mode in the sense that the latter will install the device with the latest available version of the OS. 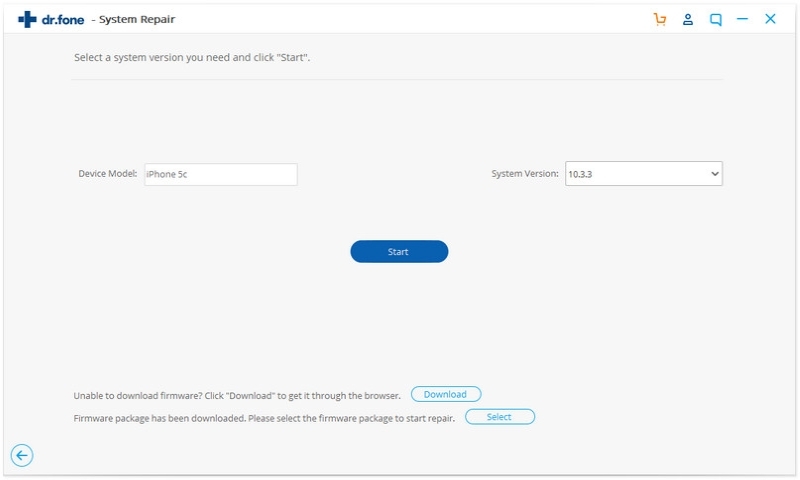 Additionally, the iPad DFU mode allows the user to select the OS version of their preference; making DFU mode the preferred mode when upgrading or downgrading a device's OS. In this article, you can learn something useful with iPad DFU mode. It is pretty easy to exit from the DFU mode. 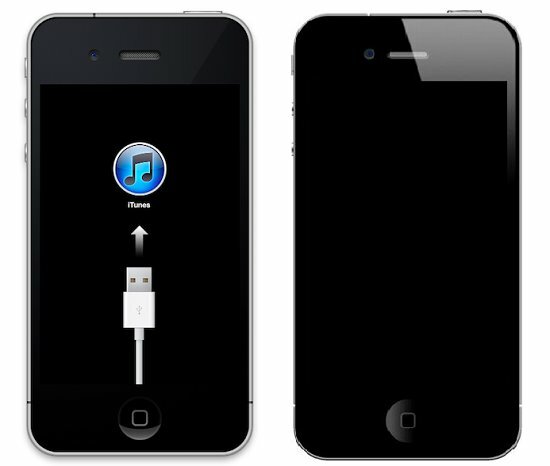 One way is to reboot the device by pressing down the Power and Home button simultaneously. This action should release your device from the DFU mode. If unsuccessful, try it again. Nonetheless, if normal restarting does not work, you can do one of the following options to exit from the mode. You can get your iPad out of the DFU mode one-click with this software. With this software, not only can you exit the DFU mode, you can be assured that your precious data and files will not be lost in the process! 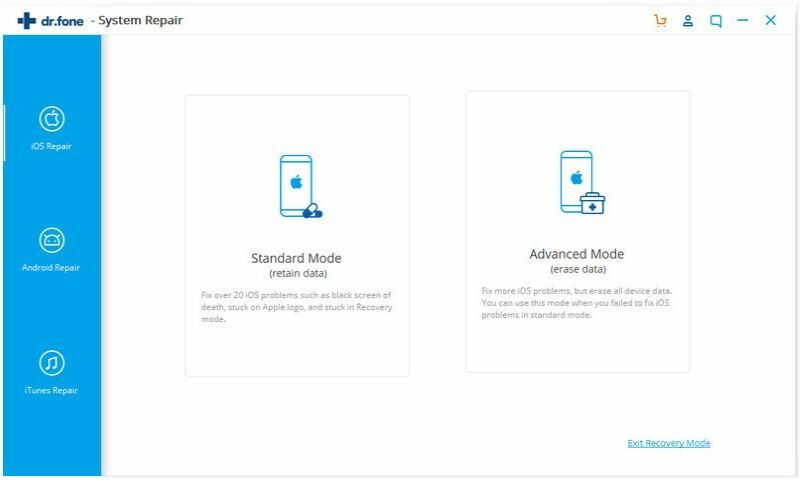 Also it can fix iOS (iOS 10.3 supported) devices other system problems like stuck in Recovery Mode, white Apple logo, continuous start, etc. 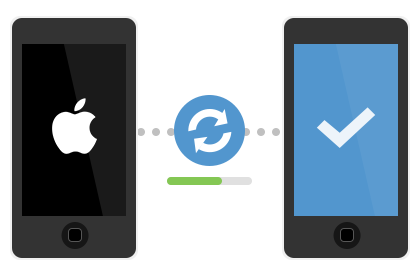 Launch iSkysoft Toolbox - iOS System Recovery and click on the "System Recovery" menu which is located at the feature list in main interface. Plug in your iPad, waiting for the successful connection. Followed by a click on the "Start" button. After that, you will need to manually download the iOS of your choice. The software will display all available iOS for you to download; Click "Download" to proceed. After you have successfully downloaded the firmware onto your iPad, the program will start repairing your device. Simply wait for a moment and it will inform once the device is working normally. Restoring your iPad to its factory settings can guarantee that you will be able to install the latest OS. However, this will delete all data on your device inclusive of photos, video, contacts etc. 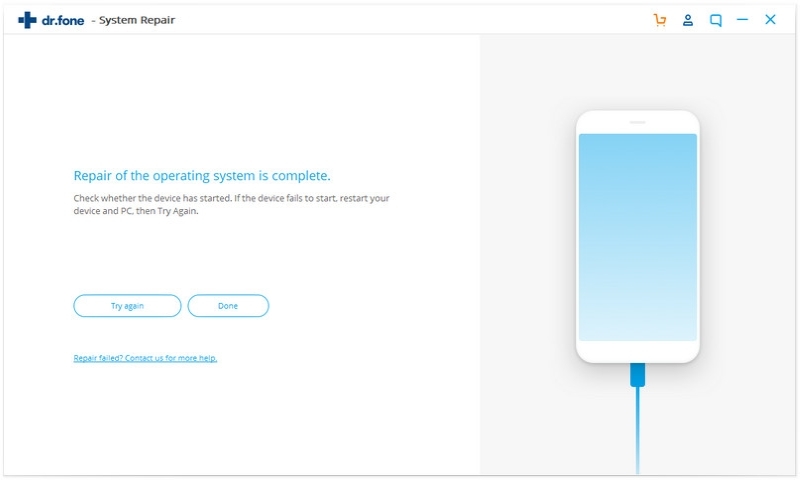 Firstly, connect your device to your computer. iTunes should launch automatically – if it does not, click on the icon manually. Check to ensure that you have the latest version of iTunes before commencing the restoration process. iTunes should be able to identify your iPad if both are connected properly. Click on your device accordingly. Next, under the device's "Summary" tab, click on the "Restore" button to start the process. Another window will pop out asking for your confirmation on the restoration action. Simply select "Restore" again and the process will start. 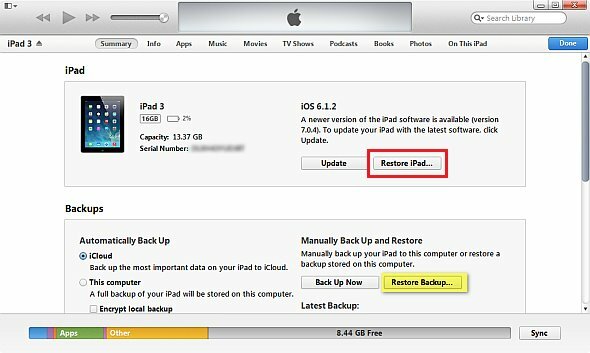 Once your iPad is restored to its factory settings, the device is treated like an entirely new device. Unless you have done backup of your files previously, you have to set up your iPad. Kindly follow through the Setup Assistant to get you started again. Connect your iPad to your Mac or Windows PC by using a USB cable. Launch iTunes if the software does not start automatically. 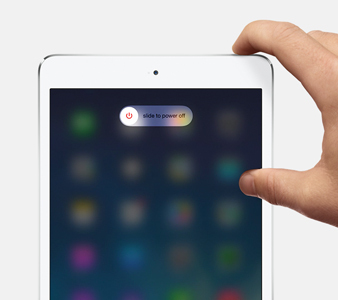 Thereafter, turn your iPad off by pressing the Power button. 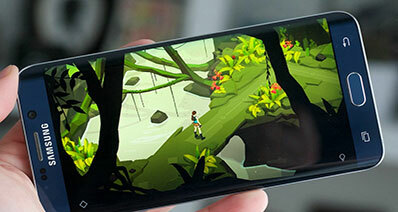 After a while, a slider will appear; simply slide the device off. Hold down the Power button for about 3 seconds. 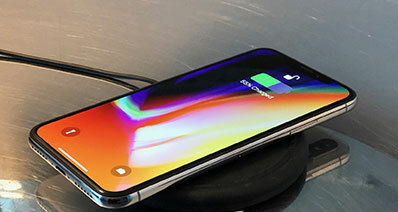 Start pressing down the Home button, without releasing the Power button. Wait for about 10 seconds before releasing the Power button (whilst the Home button is still being pressed) until iTunes display a message stating that the iPad needs to be restored. The screen will stay blank, and this is the indication that the device has entered into the DFU mode. If you see the screen displaying the below image, then the device has failed to enter into the mode. This is most probably caused by missed timing and you should repeat the process again. 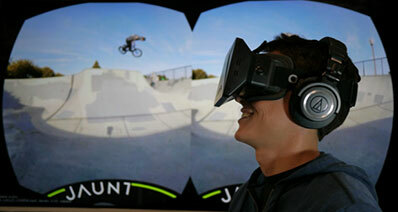 The picture below is when a device enters into the normal Recovery Mode.